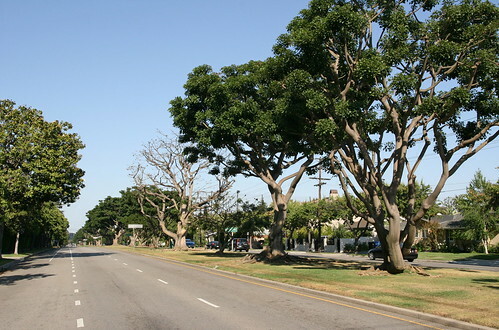 I didn’t count them all, but there sure are a lot of coral trees on this nearly two-mile stretch of San Vicente Boulevard in Brentwood. 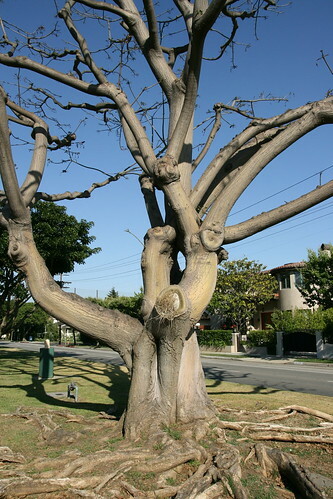 Of course you knew the Erythrina is the official tree of the city of Los Angeles. 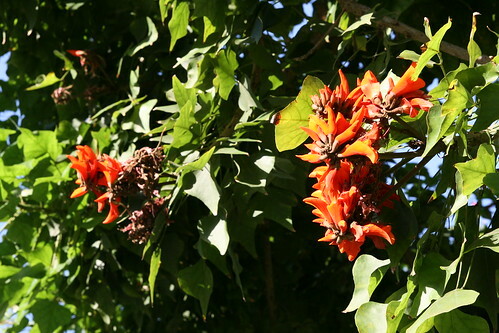 Actually, I should say the Erythrina are the official tree, because there are about 130 species of them, most commonly known as coral trees. The city’s designation of officialdom includes all of them. 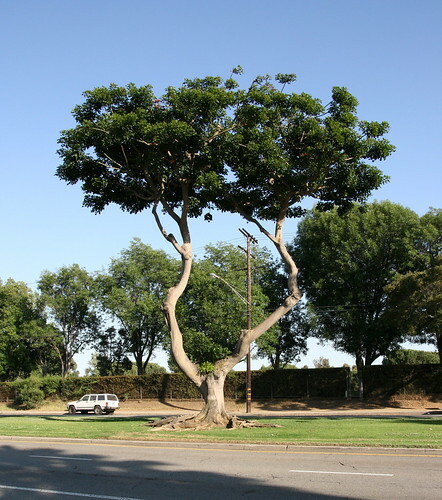 Why Los Angeles Beautiful and Valley Knudsen recommended this tree – a tree that originated in South Africa – to be our official tree, I don’t know. 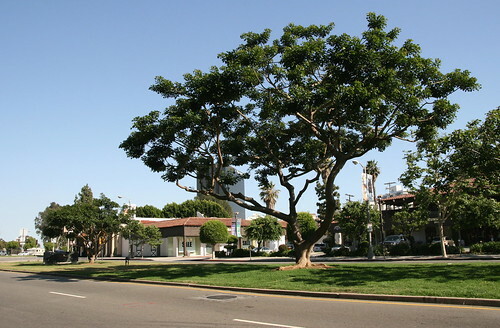 Then-mayor Sam Yorty, at the declaration on Arbor Day in 1966, praised the tree as “smog resistant and relatively pest free.” He went on to say the coral tree was chosen for “its beauty and versatility and in keeping with the city’s Spanish and Mexican heritage.” Huh? 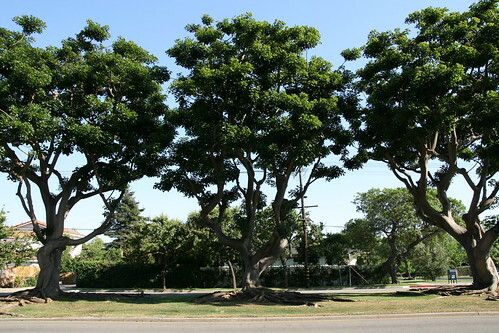 Here are some native L.A. trees that missed out on the title: the California Black Walnut; the Western Sycamore; the Coast Live Oak; the Valley Oak; and the California Bay. 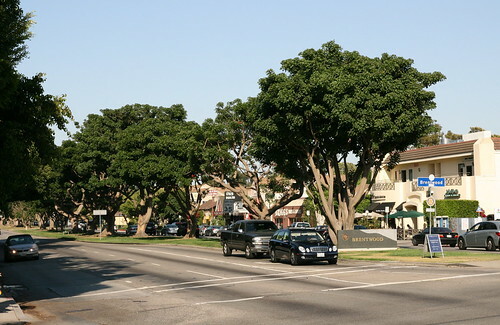 (By the way, all of those trees are protected in the city of L.A. under the Native Tree Protection Ordinance. 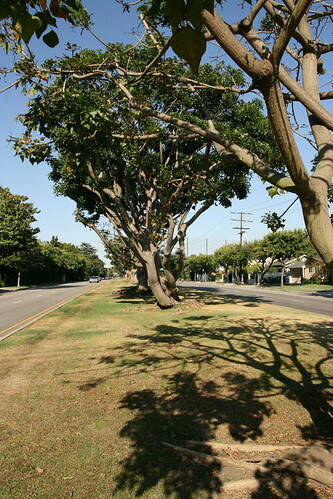 You need permission from the Board of Public Works to cut down any. So, watch out.) Me, I would’ve chosen the Coast Live Oak, but I digress. 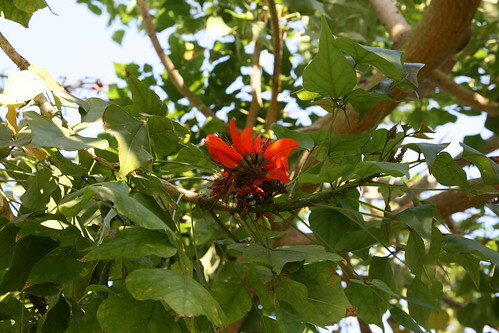 The species of Erythrina you see on San Vicente is the caffra, AKA the Kaffir Coral Tree AKA the Coast Coral Tree. 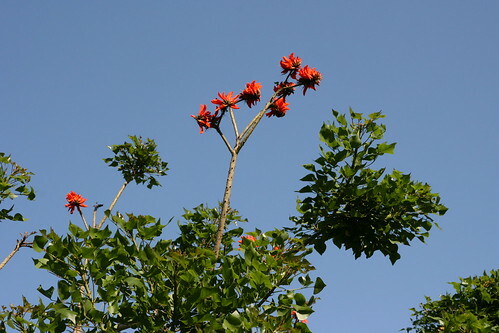 The word erythrina comes from the Greek word for red. 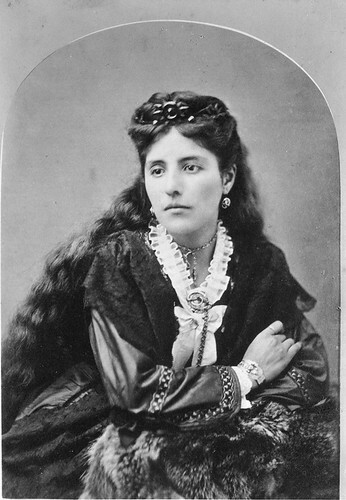 Caffra is Arabic, and means unbeliever. I could write a long post about the E.c., but I’d take nearly everything from this site. 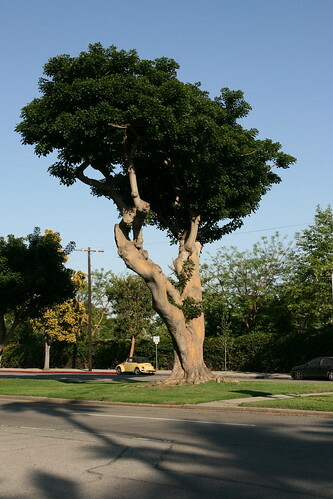 Go there and read about both the tree’s medicinal and poisonous qualities and decide which parts you want to recommend to your mother-in-law. 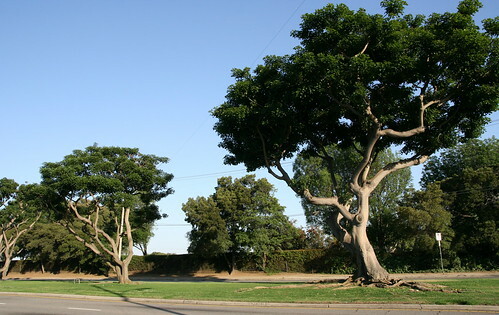 Below are two pictures, one of the eastern end of the monument at Bringham, the lower at the western edge where 26th Street crosses San Vincente. 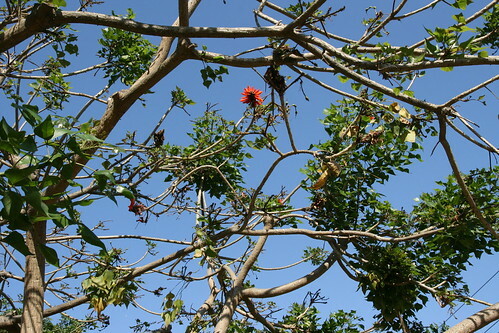 Just a few of the trees on San Vicente were sprouting flowers when I was there. 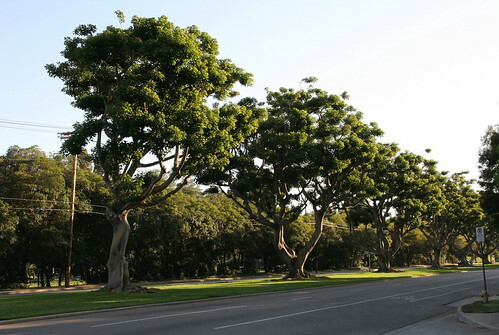 If those trees bloom at the same time, it must be something to see. Oh. 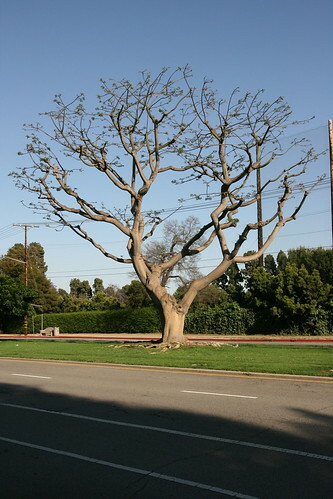 L.A.’s official flower is the bird of paradise, also a native of South Africa. 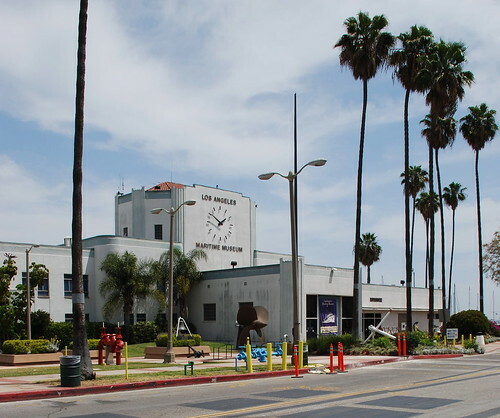 Finished in 1941 as a WPA project, San Pedro’s Municipal Ferry Building was one of the pair of terminals for the auto ferry service carrying passengers – lots of military personnel and cannery and shipyard workers – to and from Terminal Island. 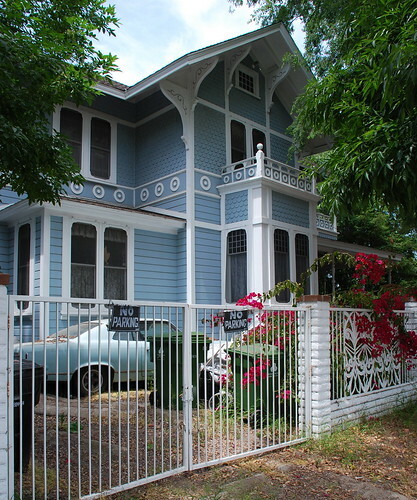 The building was the work of architect Derwood Lydell Irvin, born in the early 1880s in Eagle Rock. 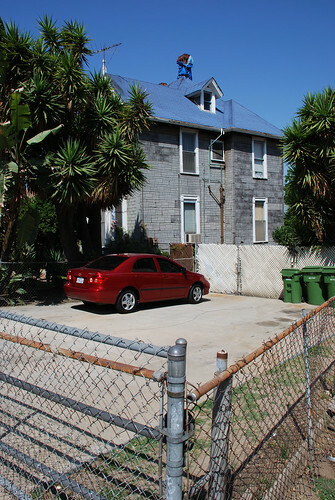 After studying at Berkeley, Irvin was working for the Los Angeles Harbor Department when he got the assignment to design the ferry terminal buildings at Berths 84 (this one) and 234 (on Terminal Island, demolished in the early 1970s). Since those two windows have been sealed up, this wall looks ripe for graffiti. 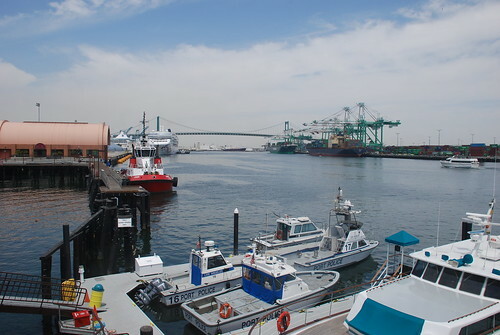 In 1963, the brand new Vincent Thomas Bridge, “San Pedro’s Golden Gate”, made the double-decked ferries – the Islander and the Ace – obsolete. 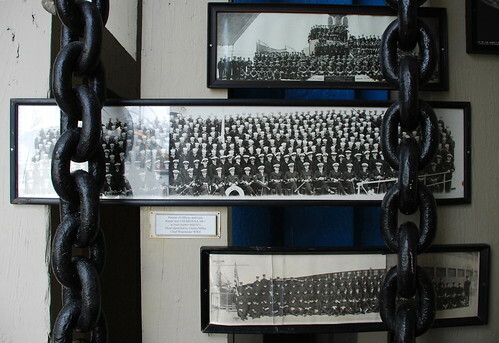 After the Islander’s last run on November 14 of that year, the building became an overflow office for the Harbor Department. 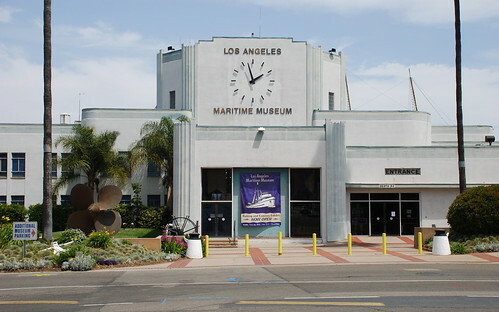 With some re-design work by architects Pullman and Matthews, the old Streamline Moderne building with its five-story octagonal tower has been home to the L.A. Maritime Museum since 1979. 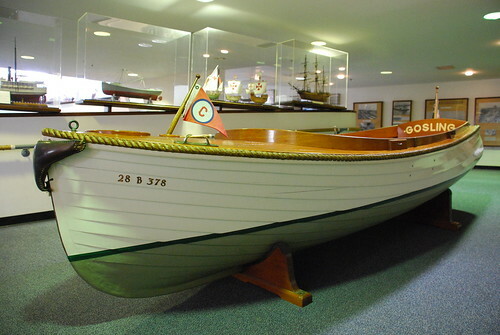 The 'Gosling', built in 1924. 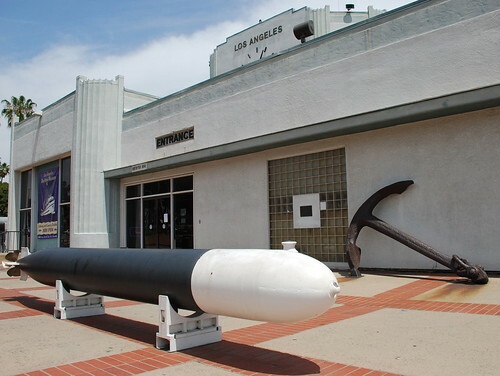 The largest of its kind on the west coast, the museum has all the displays, equipment, and artifacts you’d expect and then some. 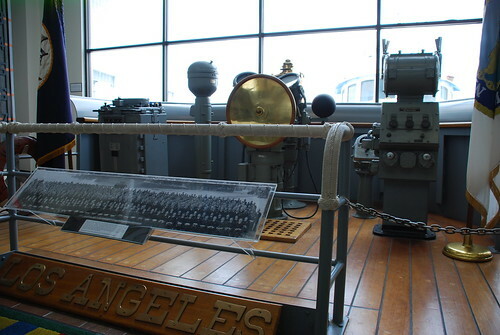 You can see models of the United States Ships the Los Angeles, the Long Beach, and the San Pedro, in addition to a whole bunch more. 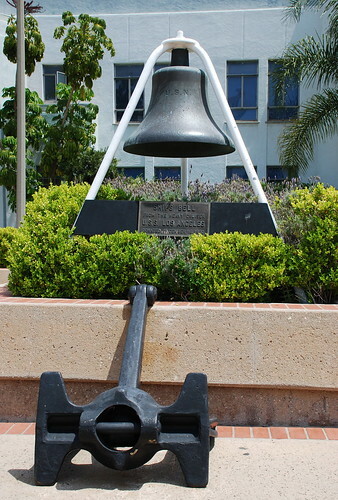 Along with the ship’s bell on the museum’s lawn, the Los Angeles’s bridge can be found re-assembled inside. Here’s a pair of shots looking through a museum back window out upon the Glenn M. Anderson Channel. 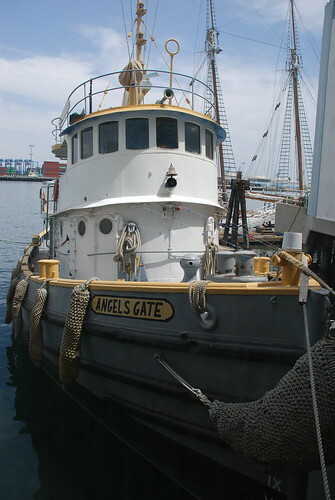 The first shows the Vincent Thomas Bridge in the background, the second is of the tugboat “Angels Gate”, built in 1944. 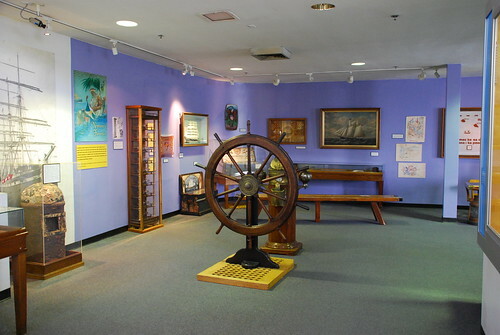 At the museum you can watch the radio operators of the United Radio Amateur Club broadcast from the second floor. 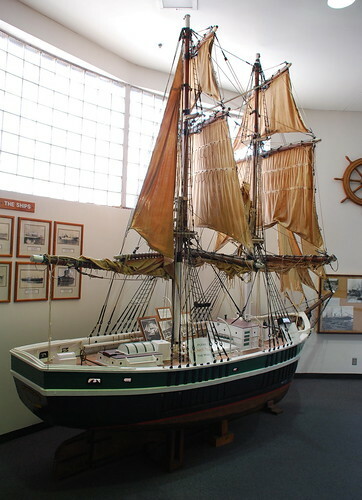 There’s also the model of the S.S. Poseidon, used in the 1972 movie The Poseidon Adventure. 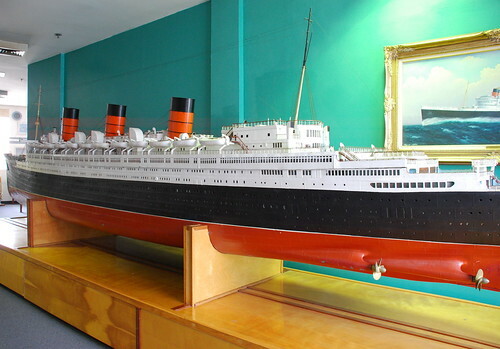 It was built, 1/48th to scale, using the original plans for the Queen Mary. I tried flipping it over to see how long Shelley Winters could hold her breath, but was stopped by security. 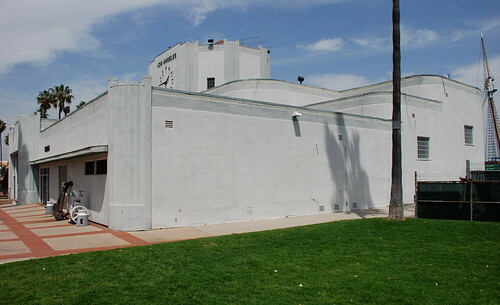 San Pedro’s Municipal Ferry Building was listed on the National Register of Historic Places in 1996. 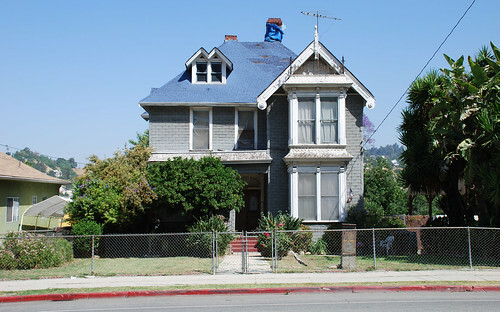 Designated an official city landmark thirty-three years ago this week, 3537 Griffin Avenue doesn’t have much of a notable history, or, rather, much of a notable history researchable without me leaving my couch. 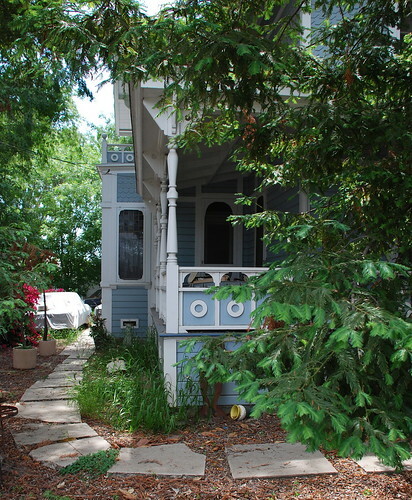 Most resources say this home was built around 1886, although ZIMAS says 1910. 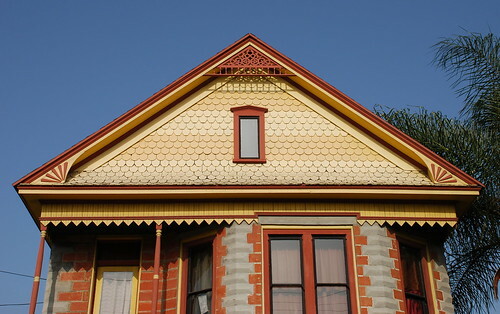 That latter date is crazy, especially if it’s the work of architect Joseph Cather Newsom (1858 - 1930) to whom some attribute it. 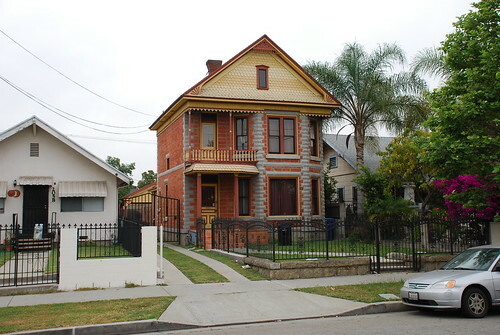 Cather designed HCM No. 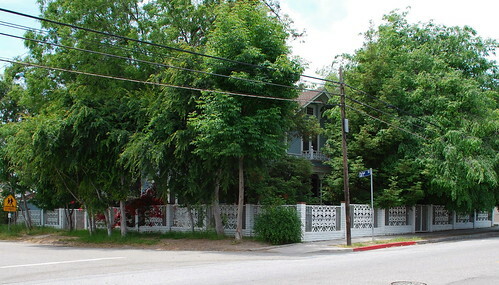 258, the Fitzgerald Residence (1903), and No. 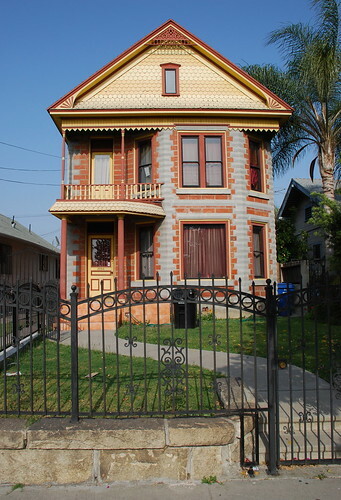 565, the Greenshaw Residence (1906), in the styles of “Italian Gothic” and Mission Revival respectively, so his reversion to this earlier Queen Anne style at the very end of the Victorian age is unlikely. 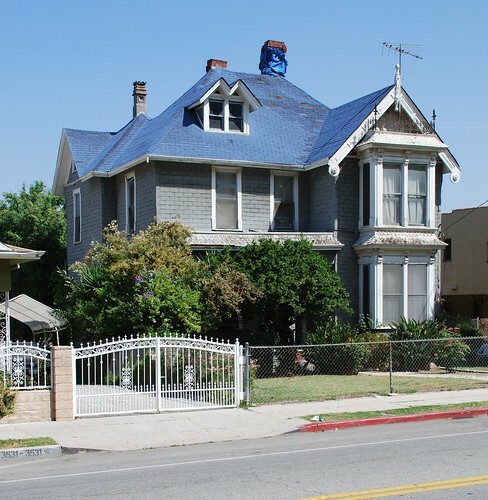 Not to mention the late 19th-century development time frame of the development of Lincoln Heights. Am I right, America? 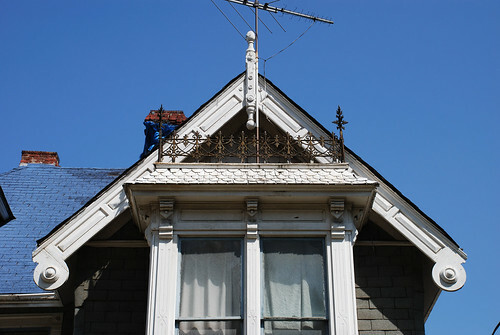 Gebhard and Winter tell us 3537 is a “two-story Queen Anne dwelling” with a “double-gabled dormer on the third floor.” Note not only the dormer but also the continuity gaffe in G&W’s entry. One final thing. 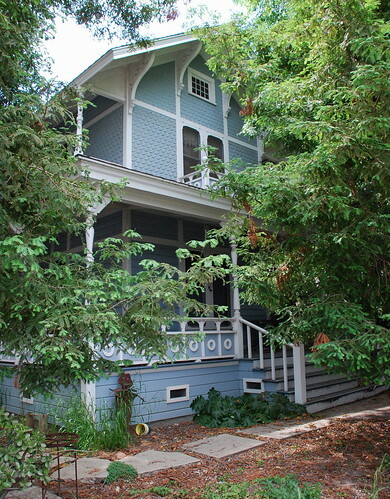 While I choose not to believe ZIMAS’s given year of construction, I'll go along with the site's saying this old house is made up of more than 2,300 square feet. Roomy! John Strother Griffin was born in Fincastle, Virginia, in 1816. Raised in Louisville, Kentucky, he went to med school at the University of Pennsylvania, and became a doctor in the U.S. Army. 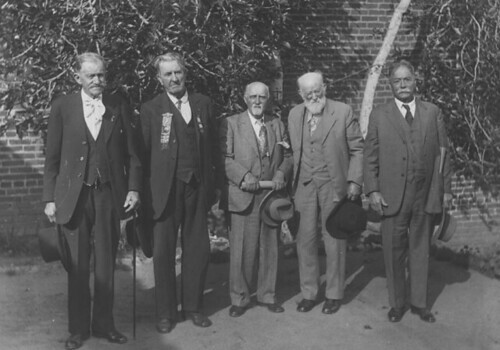 As head surgeon for Gen. Stephen Kearny, he not only tended to the injured in the battle of San Pascual in December 1846, he also was on hand for the American capture of the city of Los Angeles the following month. (Buy his diary of his Mexican War experience here.) 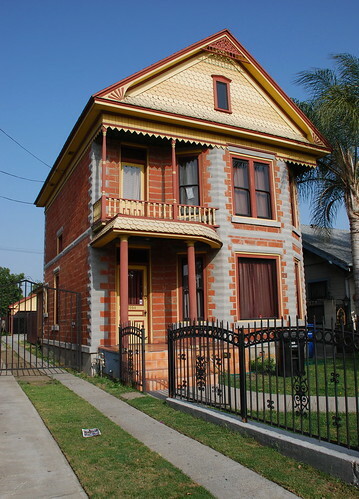 He returned to settle in L.A. in 1854. 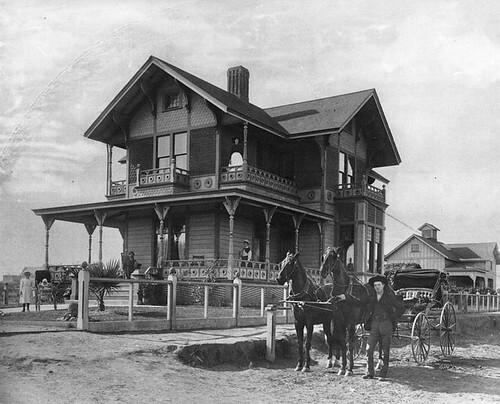 One of L.A.’s early physicians, he bought up land like nobody’s business throughout the 1860s, including two thousand acres in East L.A. in 1863 for fifty cents an acre. 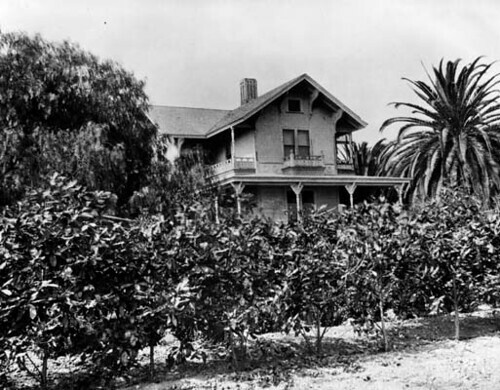 In 1873 he sold 4,000 acres of Rancho San Pascual (which he had bought from Don Manuel Garfias some fifteen years earlier) to an organization from Indiana which renamed the land Pasadena. 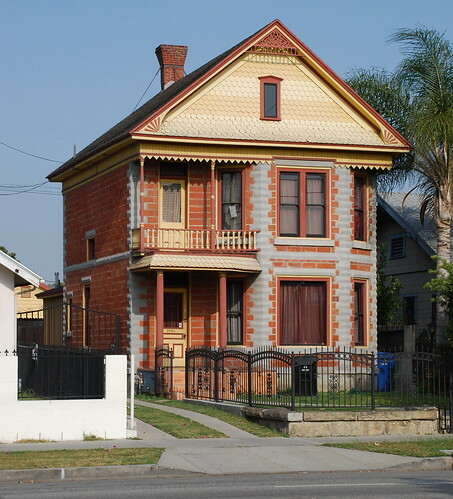 Dr Griffin spent many years living on Main Street between First and Second, but died in his home at 1109 Downey Avenue, now North Broadway, on August 23, 1898. 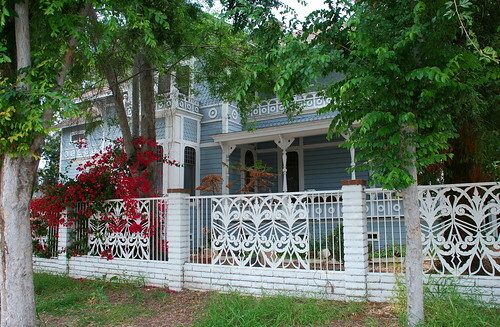 This landmark was built around 1887. Various city directories list residents Joseph and Rosina Thompson and Pearl Treon (1936) and osteopathic physician C.E. Broadhead (1939). 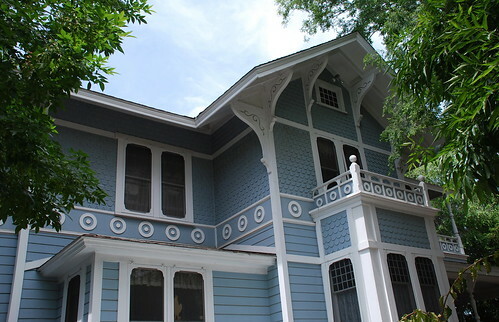 Walter H. Klapper owned the house during its designation in 1975, and architect Bruce Boehner and his wife, Gloria, soon after purchased the home with plans to restore it. 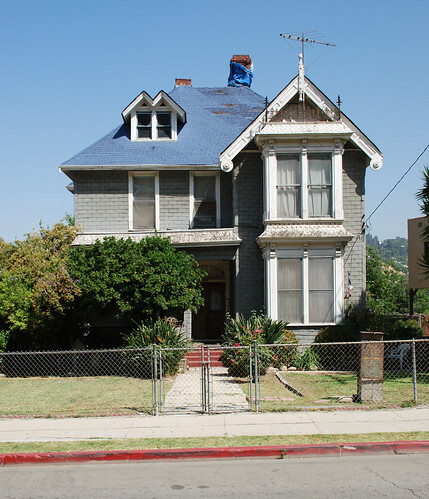 It looks to be in great shape today, but I can’t figure out what that solitary second-story window on the north side indicates in terms of the floor’s layout. 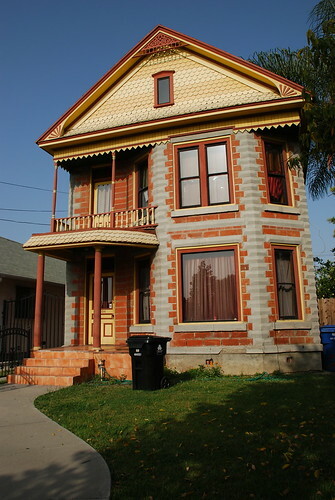 It looks original to the building’s design, too.